When my two eldest children were little, both were very picky eaters. I used to struggle to get them to eat any vegetables at all, and meat also caused all sorts of issues. I resorted to all sorts of tricks, including serving their food up in a container with a lid, asking “What’s in there?” and then whipping the lid off with a dramatic flourish. It was always greeted with lots of giggles, and then the usual battle would begin. My eldest actually developed a liking for frozen peas and corn. Strange, I know, but whatever works, right? It didn’t really matter whether she liked her veggies warm or frozen, so long as she ate them. 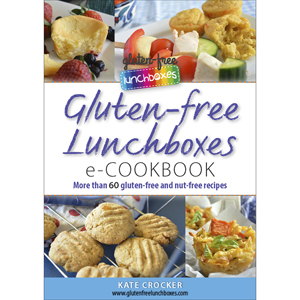 My middle daughter was a far tougher customer until she was diagnosed with Coeliac Disease, when everything improved dramatically. One of the really big issues that I had with their fussiness was the food wastage. I couldn’t bear it. But once I worked out that they both seemed to enjoy my cheesy corn fritters (the recipe is in my eCookbook), I had a plan. The base of the recipe is two eggs and flour. So if they didn’t eat their meals one night, I’d take the leftovers and roughly mash them, stir in some grated cheese, beaten eggs and flour. Then I’d drop spoonfuls of the mixture into a frypan and before too long, I’d have crisp, golden fritters. Every time I served them, the kids ate them. Needless to say, fritters occupy a particularly special place in my heart. They saved my sanity many a time. My kids still love the cheesy corn fritters – I serve them up every now and again as a light meal, with a tossed salad to accompany. I always make sure I’ve set some aside for the next day’s lunchboxes as well. It’s been an awfully long time since I’ve come up with a new fritter recipe, so I thought I’d give it a whirl this week. It’s a simple recipe, which is always a good thing! I’ve used ground coriander and cumin seeds for a mild flavouring, but if you think your kids won’t tolerate that, use some sweeter spices such as nutmeg or cinnamon. Or no spices at all. I’ve also included cannellini beans to boost protein and carbohydrates – to keep them full for longer and for energy. 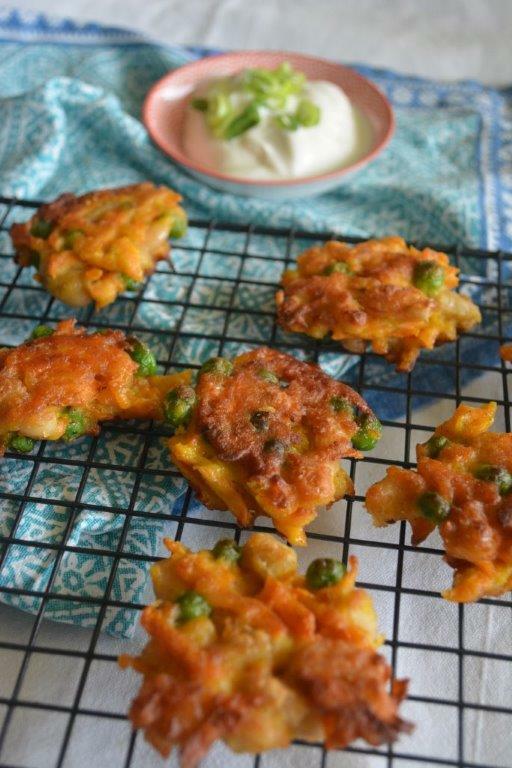 These are great as a light meal, or for finger food (serve with natural yoghurt with a little fresh mint or chopped spring onions stirred through). The next day, send them to school for lunch. Grate the carrots using a coarse grater. Put all ingredients into a large bowl and mix until well combined. Heat a large frypan on medium heat. Pour in enough oil to generously cover the base of the pan. Drop heaped dessert spoonfuls of the mixture into the pan, allowing room for spreading. Fry for approximately 10 minutes or until golden brown. Turn fritters and fry for a further 5 minutes or until cooked through and golden brown. Drain on a wire rack and serve. These look just the ticket, may be add a good dipping sauce and these could easily be my dinner. I am now off to the store. Thank you, Kate!